Did you purchase a pre-construction condo in Ottawa, and are looking for a way to sell before your closing? 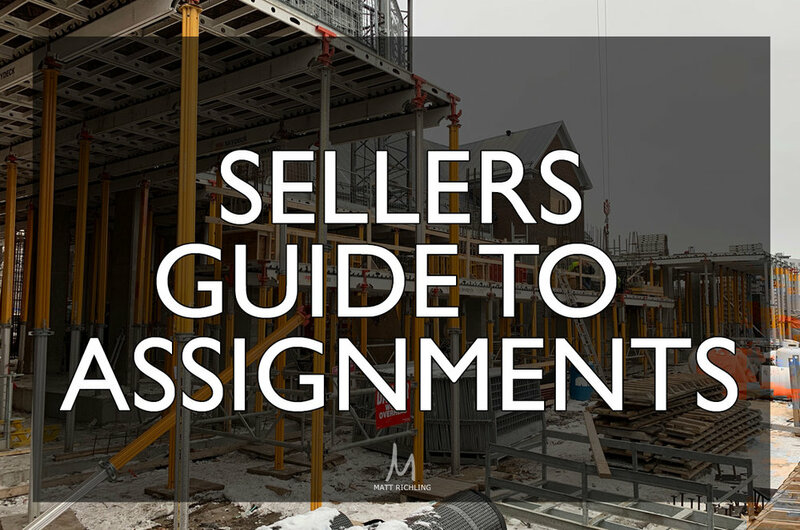 You might have heard the term assignment, or seen units that are being sold as “assignments”. While not an easy task, an assignment can provide you with the ability to sell your “condo” without needing to close on it. An assignment is a transfer by the Assignor (original purchaser) of the original Agreement of Purchase and Sale to the Assignee (new buyer). This means that they are not selling or buying the actual condo, but rather their interest in the deal. The Assignee is buying the ability to become the Assignor. You often hear assignments referred to as selling “paper” or selling the deal. Condominium assignments typically occur for a few reasons. Often, the original condo buyer has had a change in circumstance and no longer wishes to close on the condo. a.k.a. partners, babies, pets, jobs, etc. The buyer might not have the funds to close or be able to secure a mortgage. Sometimes the original purchaser was a speculator who purchased with the intention of assigning the contract to profit from the increase in price or value. Why can it make sense to assign my condo? Money. One of the largest reasons it makes sense to assign your condo is that you don’t have to close on it. You don’t need to secure a mortgage and you don’t need to pay the closing costs. The new buyer will take on the builders adjustments or development charges. We have seen builder APS that states an additional 5% deposit payment on occupancy. If occupancy has not yet occurred, it would be the responsibility of the new buyer. The new buyer would also be responsible for the Land Transfer Tax, any interim occupancy fees, etc. HST. You don’t have to worry about the HST rebate qualification. First Time Buyer? If you are a first-time buyer, you would retain your status for the next purchase and be entitled to the credits when you do buy and take possession on some other property. Why might it NOT make sense to assign my condo? Restrictions. Marketing restrictions are often put in place by the developer when they allow the assignment. This can include restrictions to marketing the condo assignment on the MLS or even advertising it online. This alone can make the process very difficult. Thinking of advertising anyway? Builder contracts often state that if the assignment is advertised online, the builder can cancel your contract and keep your deposit. Not worth the risk. Cost. Even though you are not closing on the property, there are still fees that you are responsible for. A builder will often impose a fee to allow you to assign your condo. This can range up to $8,000, plus charge their solicitors' fee’s (we have seen up to $2,000). You will likely have to pay a real estate commission (unless you find a buyer yourself). Plus your lawyer will charge slightly higher legal fee’s since the process is more complicated. Tax. Any profit made will be taxed as a capital gain unless you are in the business of buying and selling real estate, in which case it will be treated and taxed as income. Yes, there was a time when you could get away with this, however, CRA has cracked down and is paying attention to real estate transactions. While these do not get registered on a title, assignments are still handled by the builder and are able to be caught by CRA. Responsibility. Builders will always include a clause that states the original buyer is still responsible if the new buyer does not close. While it might originally seem like you are completely off the hook, the last thing you want is to find out that you need to close, or are responsible for the default of the assignee. Top Dollar. While every project and unit is different, selling a unit without the ability for the buyer to see inside, or while a building is not fully finished can hold back the full value of what you can sell your condo for. For example - It is really hard for a buyer to get an idea of what exactly they can expect if the amenities are not finished, especially if the buyer will be an end-user. As well, there might be increased competition due to a surge of units. Builder Approval. The first step in assigning your condo is finding out if the builder is allowing assignments. This is necessary because most original purchase and sales agreements have restrictions regarding assignments (or listed separately in a schedule). If the builder will consent to an assignment, the builder will need to provide written consent. This consent is usually a condition of the assignment agreement. Deposit. Assignors typically want their money up front (this includes the original deposit(s) paid plus any profit) and wish to be out of the deal once the assignment agreement is firm. This is usually not practical because most buyers require a mortgage to fund the purchase and they will not get their mortgage until the building is registered and title can pass to the property. Expect the deposit to be held in trust until closing. Time. Aside from the time, it will take to find a buyer and negotiate the details, you should plan for a number of days before the assignment deal is firm. Both lawyers (yours and the new buyer) will have a condition to review the documents - usually five business days or so. The buyer will want a condition for financing, which can be five business days or longer. Keep in mind that convincing an institutional lender to lend based on an assignment price is not as straight forward as normal financing. There are few sales for appraisers to base the new value on. And finally, you will need developer consent, which could take up to two weeks (or longer sometimes! ), regardless if you had already asked before you started or not! The world of condo assignments is a difficult and tricky one. If you are looking to get more information about assigning your pre-construction condo in Ottawa, fill out the form below and let’s chat. A quick Google search will reveal that there are about a million blog posts with the same "questions to ask your agent". How long have you been in the business, how many homes do you sell, what is your percentage of phone calls to sold signs... blah blah. Yes, these are great and you should ask away - the more you ask the better. 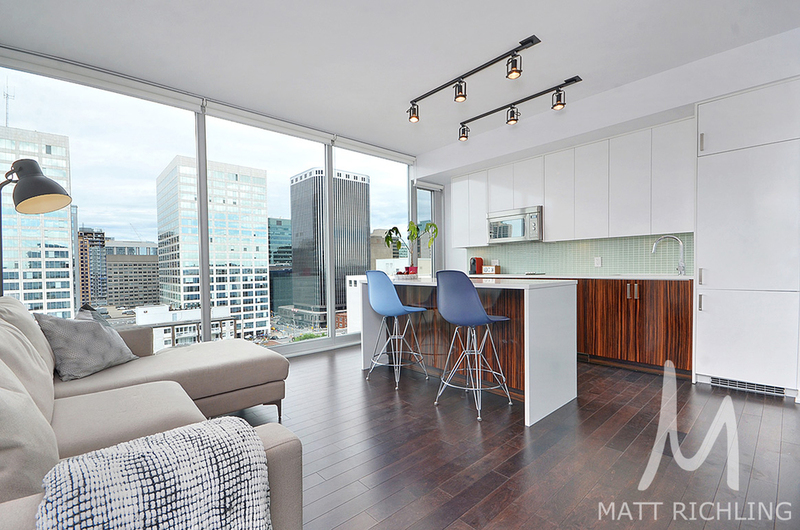 That being said, here are eight questions to ask your agent when selling your Ottawa condo. 1. Do you focus on condos? - You would have no idea the number of times I have heard wrong information given out by agents to clients about condos. Sure, we can't know everything - but even having a basic understanding should be expected. Example. I overheard an agent once tell his client that the condo fee rises the higher a condo is within a building. facepalm. Yes, my license allows me to sell a commercial property, and I have even taken a mandatory commercial property course - but I don't know everything about commercial deals and am not the best agent to handle a commercial deal. Condo living is different that freehold living, and buying/selling a condominium is taking freehold properties and adding extra complexities. The deals are done on different forms, there are extra conditions and clauses only for condominiums, and extra knowledge that you only know by "being in the trenches". 2. Have you sold my floorplan or sold in my building? - How familiar is the agent with your specific building? Some buildings I have sold every floorplan since it has been launched. Does the agent know where the amenities are and how to get around the building? Even details like having a good relationship with the concierge, security, or property manager goes a long way when we need something. 3. Who is most likely to buy my condo? - One of the first steps when creating the marketing plan for each listing is sitting down and walking through who potential buyers are for the condo. Owner-occupied or investor? Older or younger. Married? Kids? Most buildings have a mix of people, but there is a general trend. Can the agent see the trend? Targeting these buyers, rather than wasting resources on buyers who are unlikely to buy it. Modern two story loft with stairs? Willing to bet it isn't being bought by an older couple looking to downsize. 4. Other than units in my building, what units/buildings are our biggest competition? - Having a knowledge of other units and other buildings will help you get a better perspective on the market and what to expect. Knowing that there are three hot units in a building across the street, will help when pricing. 5. What are the largest issues we will have with selling the condo? - You can't sugar coat everything and most places have something that isn't going to work for most buyers. Is it size? Is it the damaged floors? Is it the view, building, location, furniture, etc? Can you address it beforehand or mitigate the issues early on? 6. How will you market the condo? - Unlike a residential home, most buildings will not allow a for sale sign. Some buildings have banned open houses. The agent needs to have the tools (not just know about them) to sell in today's world. Facebook, Google, Instagram, targeted ads, VR.... what is the agent going to do in order to get in front of the right buyers? Do they have a plan to get the condo sold? 7. Do you do your own photography? - The number of horrible photos that are used on the MLS blows me away. Hiring the best agent means having an agent who knows the value of highering a professional photographer. This should almost be the first question that you ask - it's that important. Have they done dusk shots? 8. Do you have a handyman that has experience with condos? - If you need any work done (such as replacing floors, or sometimes even painting), there are almost always extra steps that are needed before work can be done in the condo. Getting condo board approval is the most important, but even just keeping the neighbors happy can go a long way. Many trades are used to working on job sites that are loud and dirty, not in modern buildings with shiny elevators and neighbors who can hear everything. Some buildings have specific rules about construction waste or using the elevators. Thinking about selling your Ottawa condo? I would love to chat more - fill out the form below! NOTE: I don't mention the possibility of price changes. I don't have a crystal ball and not able to tell the future. Maybe prices will rise, maybe prices will fall. This article leaves price factors out of the equation. Yellow school busses, #PSL, and football are all back which can only mean summer is almost over. This time of year we are finding people coming back home from vacation, back to work, and noticing that they would like to make a move before winter (aka the deep freeze). A common question we hear around this time is from those who are thinking of selling, but are wondering if the fall is a good time to sell. Every person's situation is different, but generally the answer is yes. Typically the busiest time of the year is the spring/early summer, followed by the fall. This is when we see the most activity of people buying and making a move - more buyers! Should I wait till the spring to sell my condo? Some ask if it is worth it to wait till the spring to sell their condo. Depends, can you wait? (some can't - surprise baby (nine months isn't a surprise but you get the idea), divorce, tenant vacated...etc. If you have the time to wait use it wisely. Use this time to prepare the condo to show its best. Get an outside perspective of what is holding the unit back from showing a 10 out of 10. Are the floors scratched up, need a coat of paint? Maybe it is worth the cost to repair - maybe it is not. Typically people forget that staging take a week or more to arrange and have set up, all time that should use to plan. When I work with clients to list a condo for sale, I always sit and figure out who the potential buyer(s) will be. Is this an investment property, mature couple, young professional, etc. When you are looking at selling, think about that buyers life... Typically it is different than the standard family with two kids, so keep in mind the condo buyer isn't subjected to back to school season, and December holidays. While we are still impacted by weather (snow, cold, rain, etc) in Ottawa condo land, we typically still have buyers looking throughout the winter. Our buyers are not as affected by weather as much - "There is No snow in condo land!". Take a look at your life to get a sense of the possible buyer - do you travel during the summer, or visit family around holidays? Long weekends are usually very busy, or very slow - depending on the time of year! Use this to plan your dates! For those who want to sell now a few things to keep in mind. While it is important to have the home prepared and showing as best as it can, it would depend on how long would it take to get there and how much effort you are willing to put in. You might only be willing to invest a certain amount of energy and time to getting it show ready. Don't waste time. If you are going to list now, don't waste a month - buyers are out looking now. Get it ready and get it listed. There is no clear answer since everyone is in a different situation. The fall is the second best time of the year to sell. So if you don't/can't/wont't wait another seven months - then give me a call and let's get things started. If you are thinking of waiting, or need a better idea - let's chat. I can help you decide what might be best, or what you are looking at. Best Day Of The Week To List My Condo? First off, a few things to remember about what happens when a property is listed. I typically plan anywhere from four to seven days in advance (or less, really depends on the owner), to be able to have time to create all the marketing materials, get the photographer in, photos processed, etc. So a day here or there can be picked in advance, not just at random. When we list a property on our back end site (MLXchange), it immediately sends out an auto-notification email to any buyer who has a criteria setup that matches that property. This notification email is a significant, and is a huge tool we rely on, especially during busy buyer months. Depending on the property you can match to 300 or even over 1000 different buyers, being hand delivered to each buyer, with all the information. Then within usually 24 hours, the property is uploaded to the full MLS or Realtor.ca. Typically the busiest time of the week for showings is during the weekend. This is when most people are going to be out looking (not at work), and have the flexibility to drive around. As an agent, we typically will book all these appointments the day or so before (usually Friday - if we have that much notice). Which means we send the property search results to our clients the day or so before that, for them to browse through and decide which ones they want to see. SO, if you list a property mid week, Tuesday, Wednesday or even Thursday, then you will be able to get many of the people who are going to be booking for the weekend. For these auto notification emails to be effective, they need to be opened, and read. This means not only must they have photos (HUGE NO NO, why list if you don't have photos?? ), but also the buyers attention when the email is sent. If I am a buyer at work when the email comes and I can't focus on it, I will either miss/ignore it, or archive it. However if I am not in the middle of something the chances of me reading that email, and looking at the property are much greater. So the other theory is to list a property in the after work hours or on the weekend when you are less stressed about work, and more able to have the time to read the emails. While all marketing materials need time to be created, there are always buyers who are currently looking and placing offers. What if the perfect buyer for your condo placed an offer on another one last night, or today? ..... ! Basically there is no perfect answer, or at least for now, and we can only just guess at what makes the most sense. Do you have a suggestion to the best day of the week? I would love to hear it. When Is The Best Time Of Year To Sell My Ottawa Condo? When it comes to selling, one of the most common questions I am asked, is "when is the best time to sell?" The best time of year would be when there is the most demand for buyers and sellers. When both buyers are looking and sellers have their condo listed for sale. This is usually the Spring, followed by the fall, which are both our busiest time of the calendar year. The spring market in 2014 started much later than usual due to the weather, but normally mid-March or mid-April, lasting till mid-July. The fall market being mid to late August till early-mid December. It cools off over summer and the December holidays. Keep in mind, my favourite saying in relation to selling condos is, "There is no snow in condo land." Meaning there are always buyers looking and the condo market is less affected by the weather and the seasons. Condo market starts earlier in the spring, and will go later till the holidays in December. Buyers are less likely to be dependant on families and more on their own schedules/wants. One hidden/unknown time is always the mid-January rush, where we have the buyers who have finished holidays (or a family house that was way to small with all the family over) and can't find what they are looking for since the sellers are waiting till spring. That being said, there are ALWAYS properties selling and buyers looking. If you are looking on new years or Christmas day, you are a serious buyer who is in need of a home. So don't be so quick to say no if you get a showing request. Click the button below to learn more about selling your condo here in Ottawa. I would love to help you!